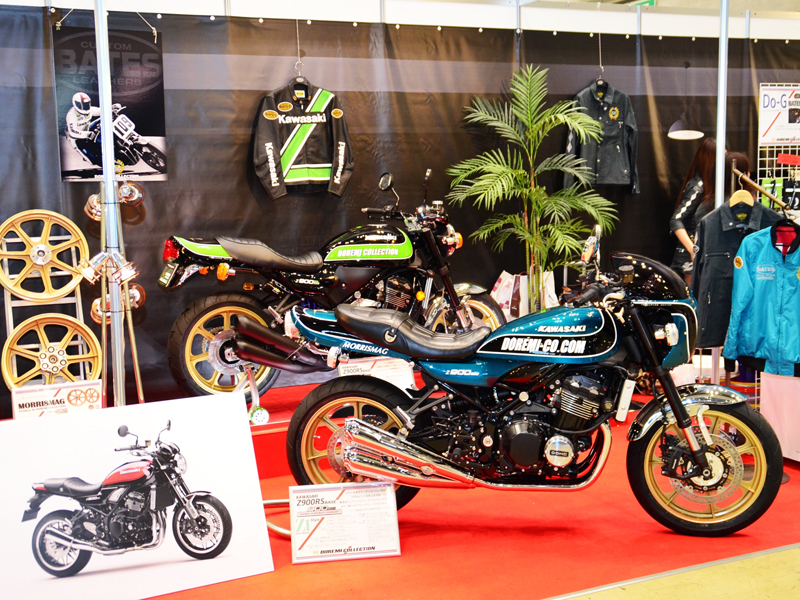 We exhibited our Z900RS CUSTOM Z1-Style Ver.2018 at the Tokyo Motorcycle Show 2018. 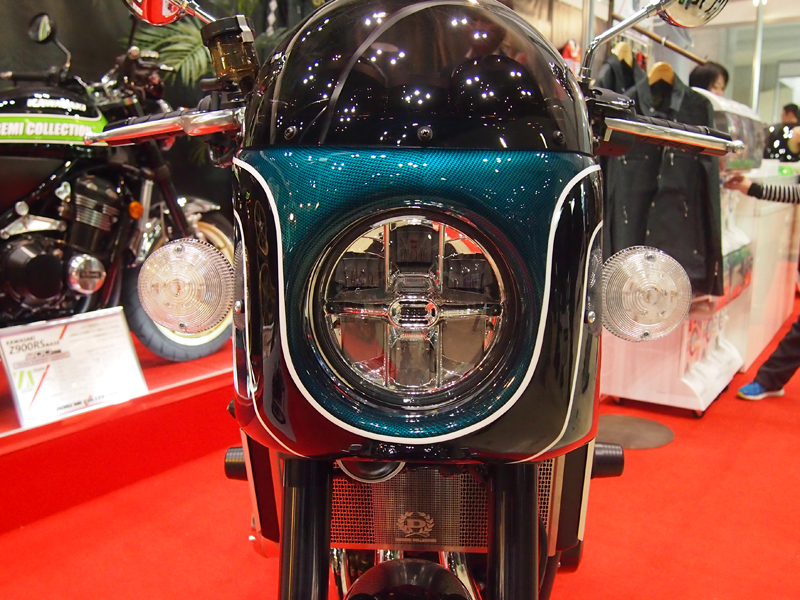 Here is a detailed overview of the motorcycle for those who didn’t get to see it at the show. 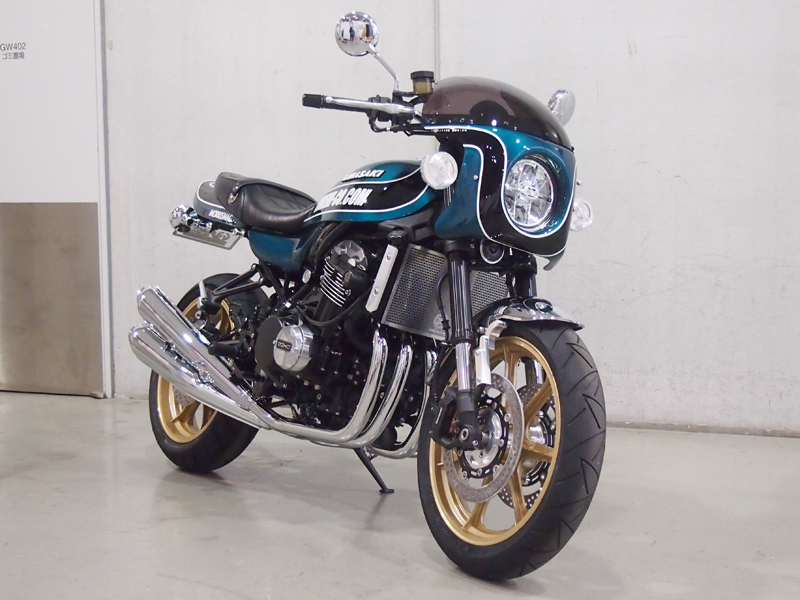 For this occasion, Kawasaki Heavy Industry kindly allowed us to exhibit our custom Z900RS 2017 Tokyo Motor show model. We had the green line color model (sitting in the far back in the picture) and the turquoise blue color model. The biggest change is the fuel tank that originally came only with the stock paint in 2017 model. 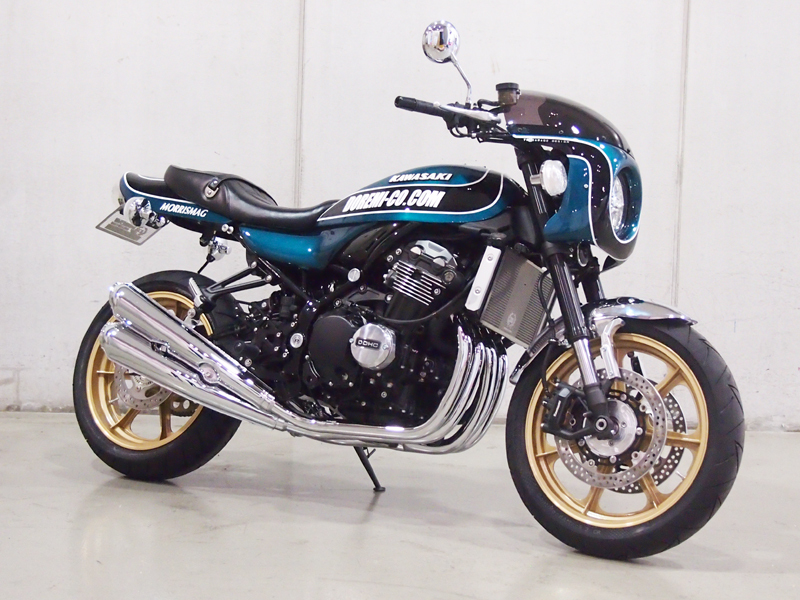 The new fuel tank is FRP cover type with a new shape using the stock inner tank. We also installed “Stone Ccowl” which provides omfortable long touring. The “4-4 exhaust system” comes with plated finish popular request,. 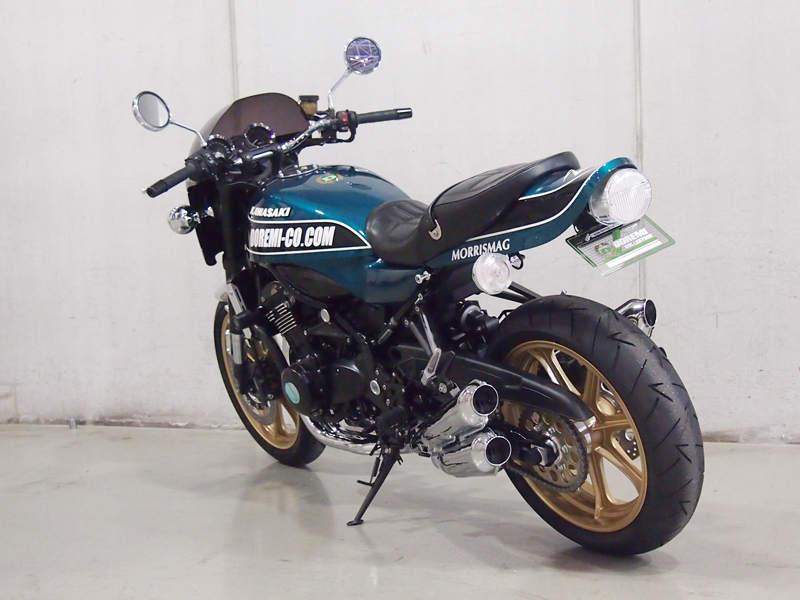 The“Fender eliminator kit” can adjust the tail lamp position for both stock tail cowl and Doremi Z1(’72 Z900)-Style tail cowl. If you look at our paint carefully, you can tell it has carbon print design and our attention to details. 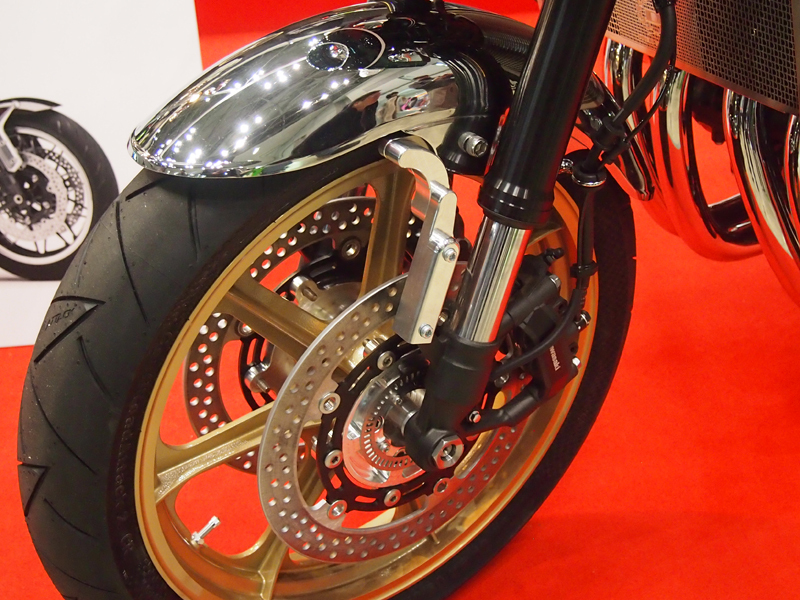 Our three Z900RS exhibition models have the new MORRIS MAG wheels which will be released soon, equipped by our original adapter for stock brake rotors. In 2017 Tokyo Motor Show, we could only show the prototype “Stone Cowl” whiche already received many pre-orders. This time, we are showing. Exhibition models can also provide you a better image for our other custom parts, like frame plug, rear sets, core guard, and engine slider. They are already available in our shop. 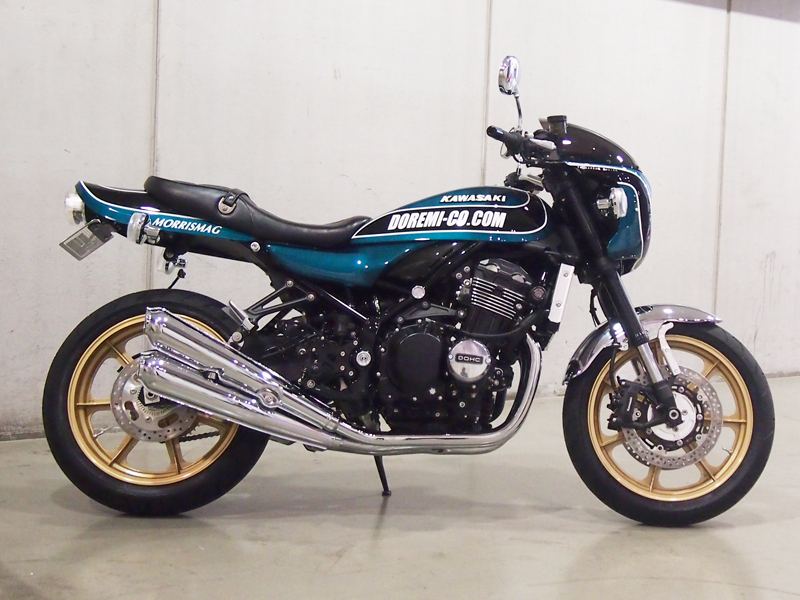 We will release the racing 4-4 exhaust system (does not meet street emission standards) first, and street model (meet Japanese emission standards) later. 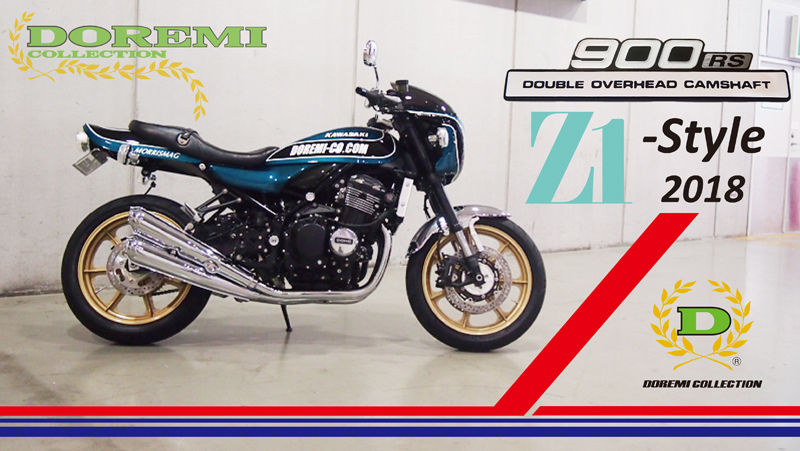 We could only exhibit the stock side cover with our custom paint in the show, but we are also developing Z1(’72 Z900)-Style side cover. The project is going well. Please be patient for its debut.